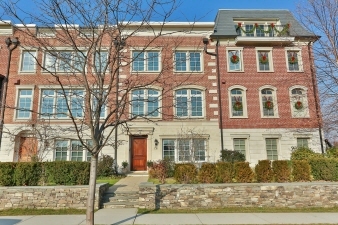 Luxurious Hudson Harbor Town house on the Hudson! Luxurious Hudson Harbor Town house on the Hudson River Waterfront in Historic Tarrytown. Southwest Views of the NYC Skyline and the new Mario Cuomo Tappan Zee Bridge with Classic architecture and modern amenities including private Elevator, High Ceilings, Modern open floor plan, gorgeous White Oak Floors, Wolf & Sub Zero Appliances, tons of Tall Windows bring in golden Light. Drive right in to your attached 2 car garage. Private Clubhouse w fitness & yoga studio and pool are available to Hudson Harbor homeowners. Steps from the Hudson River Walk, the Tarrytown Express Metro North train station & the charming village of Tarrytown, a Forbes Best place to live. The best of Both worlds, 37 minutes to Grand Central station, steps from Marinas, Shops & Parks.